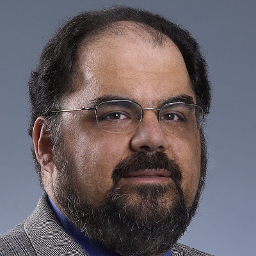 Joe Alhadeff, a friendly bear of a man and a lion of the privacy community, died this weekend after a long battle with cancer. He was 57. Most recently the VP for global public policy and chief privacy strategist for Oracle, Alhadeff was globally minded, and it is difficult to find an international privacy and data protection effort that he wasn’t involved with. From the OECD to the International Chamber of Commerce to the U.S.-India Business Council to the U.S.-ASEAN Business Council, Alhadeff was a privacy and security policy voice to which everyone listened, whether advocate, regulator or industry representative. He was also a great supporter of the IAPP, speaking for us at least 13 times over the years, dating back to the 2003 Privacy Academy, which is as far back as we have speaker records, and serving often as a sounding board. However, beyond his work in policy, Alhadeff was also universally admired as a gracious host and friendly companion, with a sharp wit and an easy laugh. His travels took him all over the world, to anyplace where privacy was a topic being examined, and he could be counted on to make sure everyone was enjoying themselves in whatever far-flung location they found themselves in. Similarly, said Anick Fortin-Cousens, CIPP/C, IBM’s privacy officer for Canada, Latin America, the Middle East and Africa, “When I think about Joe at this time, what comes to mind is not his unsurpassed intellect, the breadth and depth of his knowledge about anything and everything, his unparalleled eloquence, nor the substantial impact he has had on public policy globally, but his generosity, warmth, kindness and sense of humor. This was something that Alhadeff truly enjoyed, said Lefkowitz, mentoring and bringing people into the fold. “Joe was in work what he was in life,” he said. “He was a gentleman with great perspective, a caring family man, and people loved working with him. People weren’t junior or senior; they were judged by the quality of their intellect and the integrity of their souls.” He often identified younger staffers, brought them to the attention of management, and advocated for their advancement, regardless of whether they were in the privacy department or not. “He was as forward thinking about people as he was about policy,” Lefkowitz said. Unmarried and with no children, Alhadeff was close with his brother Les, his sister-in-law Deborah and his nephew William, Lefkowitz noted, and he had a large and close family that was spread out across Europe and the United States. A traditional Jewish funeral was held for him on Sunday, but Lefkowitz, Cullen and others are currently planning a memorial celebration event for later this summer with which to allow people to come together and remember Alhadeff’s contributions both professional and personal. I had the privilege to work directly with Joe for many years. He was a consummate gentlemen and I appreciated his diplomatic candor, deep intellect and good sense of humour as he coached me through some challenging negotiations with public sector clients.